Dianna is a Melbourne based photo artist who has been a scanning client of ours for a number of years. One of the main themes throughout her work is the natural landscape and human intervention which leads to some great images that we have always enjoyed working on. Dianna's most recent project is a collaboration with writer Sophie Cunningham titled Boundaries - an observation of the cities history and Melbourne's ever shifting boundaries. Read more about this project and other works here. The best value 27" colour accurate monitor on the market - with video friendly features too - our favourite BenQ model. 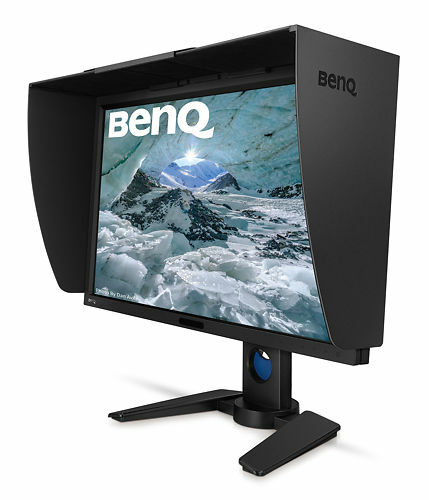 Free Insured Nationwide Shipping With All BenQ Monitors! Accessories will still attract a shipping charge. The industry standard professional monitor calibrator & our recommendation. Fast, accurate and reliable. A screen cleaner specifically developed for cleaning monitors with optical grade anti-glare coating. 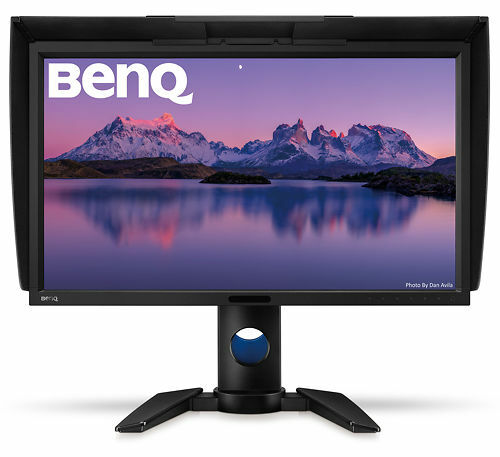 It's taken a while but BenQ are finally fleshing out their high end monitor line with the sorts of larger sizes most serious imaging users are looking for. While the PG24 model is rather showing its age now, the new PV models are their second generation high end product and it shows - more refined performance across the board, and with significantly improved & stabilised software for the direct hardware calibration system. And with extra features that make these also of particular interest to film producers (e.g. Technicolor certification, DCI-P3 support and 1080/24p support for judder free playback at native timings). Given the highly competitive pricing, we're expecting these to be very popular! Designed to meet the high demands of imaging professionals, BenQ PV270 is verified with Technicolor Colour Certified, ensuring reliable digital colour rendering on the screen. Uncompromising colour performance (Rec. 709, DCI-P3 and Adobe RGB) and powerful calibration tools make the PV270 ideal for imaging and video post-production processes. The BenQ PV270's comprehensive and rigorous approach to color management helps ensure color is reproduced consistently throughout the video post-production workflow. From the rough cut phase, through the addiction of effects, color correction, and compositing, to the output stage, color is rendered with pinpoint accuracy so that resluts match intent perfectly. Because it's so important to the video post-production workflow, the PV270 goes the extra mile to ensure the fullest range of accurately and consistently rendered color. The PV270 provides 100% coverage of the Rec. 709 and 96% of the DCI-P3 standards, ensuring output for high-definition television and digital cinema matches the colors you have defined. The PV270 also provides 99% coverage of the Adobe RGB color space designed to encompass most of the colors producible for graphic art professionals. The high pixel density of 2560x1440 (QHD) resolution delivers the crisp picture quality you expect for close reviews and detailed editing, and the spacious wide-screen view provides greater comfort and productivity. Brightness uniformity is achieved via delicate process involving the utilization of high precision apparatus to meticulously fine-tune hundreds of sub-regions on the entire screen. It offers a more authentic and consistent viewing experience. Advanced luminance control not only ensures an ideal level of brightness that is quickly achieved after powering on, but also provides consistency both during a session of use and over the lifetime of the display. Video post-production work calls for fine-grained color calibration, and with PV270’s powerful calibration functions, users are assured a high-precision calibration result. Hardware calibration allows you to adjust the monitor’s image processing chip without changing graphics card output data. Calibration keeps images consistent with originals without being affected by graphics settings. Two monitor preset modes allow calibration results to be saved directly into the monitor. With the 14-bit 3D Look Up Table (LUT), monitors can display the most accurate color mixture. 14-bit 3D LUT improves RGB color blending accuracy, resulting in impeccable color and gray tone reproduction. 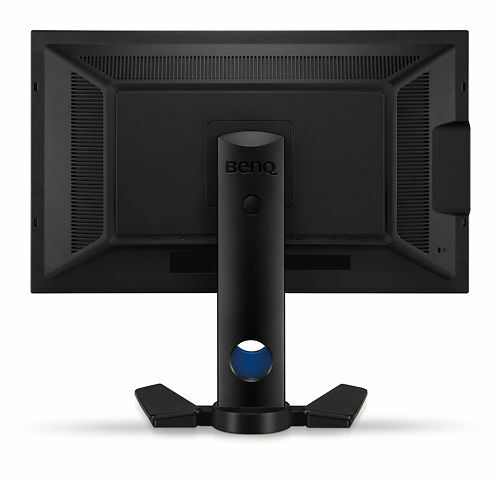 BenQ PV270 monitor features Delta E≤1.5 in Rec. 709 and Adobe RGB color spaces to ensure colors are displayed accurately in every stage of video editing workflow. Delta E≤1.5 not only offers viewers the truest appearance of the original image, it also saves time and money by creating reliable colors and providing promising result when matching images the first time, every time. Joint-developed with X-rite, the global leader in color science and technology, Palette Master is bundled software that can validate calibration settings. A user-friendly interface and a variety of adjustment parameters make it a snap to set a customized profile for any job. GamutDuo enables you to view video simultaneously in different color spaces side-by-side for added comparison convenience and reliability. Moreover, videos from two different sources can be handled this way for easy checking. Color Display Clone eliminates the need for guesswork to achieve accurate color across multiple locations. A built-in color temperature sensor automatically adjusts the picture to ambient light conditions, ensuring color is rendered consistently to your targeted values. Supports refresh rates of 72Hz to ensure 24p film content can be displayed at the correct cadence, without the need for pulldowns which distort playback of the source video. An SDK and easy-to-use API are available for studios to develop customized calibration software that meets their highly specific in-house or project requirements. The BenQ PV270 is Technicolor Color certified, meeting strict color standards for Hollywood, the broader media and entertainment industries. A three year general warranty and a six-month warranty against bright dot pixels are final assurances of quality. In 2018, the PV270 display was granted a Verified by CalMAN mark, making BenQ one of the world's first manufacturers to achieve Certified Colour Critical by Calman for absolute colour accuracy. In close collaboration between BenQ and Portrait Displays, the Verified by CalMAN program ensures each display to be accurate out of the box and true to multiple industry-standard colour gamuts. The Verified by CalMAN mark is only given to the highest-grade of displays. More information on the Verified by CalMAN program here. This monitor supports Direct Hardware Calibration and comes with a full version of BenQ's Palette Master software to achieve this. However a calibration sensor is not included and needs to be purchased to take advantage of this system. The only compatible calibrators are the i1Display Pro and i1Pro V1 and V2. We recommend the i1Display Pro. These calibrators are either simply not compatible, or do not measure current monitor technologies reliably. If you have one of these, it's time for an upgrade! Please note: Specifications are provided as a guide only. We try very hard to keep these up to date and correct, but if a particular specification is really critical to you, then please double check the specification directly with the manufacturer. Some features may of course have caveats not fully described here. To get more information about a particular specification, use the arrow to get a 'Specxplanation'. Monitor panel sizes are measured across the diagonal, in inches. They are approximate only, so the actual measurement might be 27.1" for example. Note that panel size in inches is only one part of the story - the other being the aspect ratio. For example a 24" monitors doesn't sound much bigger than a 23" monitor, but 24" monitors are normally 16:10 versus most 23" monitors being 16:9. This means a 24" monitor is much taller than a 23" and the working size is much greater than one inch difference would suggest. The panel ratio gives the relative size of the horizontal to the vertical. Older monitors were 4:3, but most modern monitors are widescreen, with 16:10 or 16:9 being the common ratios. 16:10 is distinctly taller, and common with 24 and 30 inch monitors. 23 and 27 inch monitors are normally 16:9 - the same ratio as widescreen televisions. For monitors 24 inches and below, we recommend going with a 16:10 monitor if you can. Once you're over 24 inches you've got sufficient vertical working space it doesn't matter so much. Native resolution is simply the number of pixels a monitor has, stated as horizontal x vertical. LCD monitors really want to receive their native resolution and look pretty terrible when scaling other resolutions to the native resolution of the panel. Most modern computers have no trouble outputting up to 2560 by 1600 (e.g. all Mac Pros/Macbooks/Minis/Airs etc. from the last 5 years or so can do this without issue, usually to 2 or more displays simultaneously). The only time it becomes particularly important is with older machines, particularly laptops, many have a maximum external display resolution of 1920 by 1200. If in doubt send us the full model number of your laptop and we can double check this for you! There are three major types of monitor panels. IPS (aka PLS) - are the best for image makers. They have the best colour accuracy and uniformity characteristics. The can sometimes have weaker blacks, so gamers and video editors sometimes lean towards PVA monitors. However these days good IPS panels have excellent blacks so we recommend that all image makers use an IPS panel. The latest panel type, TN, is generally only used in laptops and low end devices and should avoided for imaging work at all costs! The two major types of backlighting are CCFL (Flourescent tube based) and LED. CCFL is the older type of light source and offers good uniformity and it has been traditionally easier to engineer colour accuate monitors with flourescent tubes. However recent LED backlit monitors can be excellent - very uniform, and of course they use much less power. The latest LED backlit monitors from the good makers now offer excellent colour accuracy - at least as good as the older CCFL models. LEDs also uses significantly less power (although CCFL monitors are already much better than old CRTs of course!) - and tend to have better uniformity. Whether or not the unit needs a fan for cooling. Most monitors fortunately don't need a fan, rather using passive cooling through heatsinks and vents. However, some monitors do require a fan, which can be of concern given the monitors proximity to your ears. Generally the fan will be a low dB fan not audible above a typical computer fan, but if ambient noise is of concern to you the we suggest you choose a monitor without a cooling fan. Direct Hardware Calibration is the process of calibrating directly into the monitor's hardware. This is both more accurate, and typically more easy to do, than traditional software calibration. See the 'Calibration Information' section above for more details about this monitor and calibration. Full Calibration Sensors - behave just list external calibration sensors and can build full colour profiles for your monitor. These are designed to allow for fully automatic regular calibation with no user intervention. Correction Sensors - these can not make colour profiles, so you will still need access to a compatible external sensor about twice a year, but the correction sensor is used to keep the monitor as close to the profile as possible inbetween calibrations. Until around 2010, almost all monitors were 'standard gamut' - meaning they could display a moderate range of colours (roughly around the size of the sRGB colour space). In recent years we've seen the development of wide gamut monitors that can display a much wider range of saturated colours (about 25% more) - equivalent to approximately the gamut of AdobeRGB. We recommend wide gamut monitors for all image makers, but especially for anyone working regularly with saturated colour. Wide gamut monitors can also emulate standard gamut monitors very well, so it's more future proof to choose a wide gamut model, and there really aren't any disadvantages (apart from the generally higher price of wide gamut models!). Does the monitor accept a 10 bit incoming video signal? 10 bit video signals allow for more tonal level separation (i.e. smoother gradients). PC: 10 bit is well supported and relatively easy to achieve with 'workstation' graphic cards (short version: buy an nvidia Quadro video card!). Mac: 10 bit has only just become supported in 2016 - you'll need very up to date Mac hardware, and the latest versions of OSX and your apps. Our comprehensive article on 10 bit support has all the details. The maximum achievable ratio of the brightness of a monitor's white to the depth of it's black. The stated figure is a maximum, achieved only when the monitor is running at high brightness in a darkened room. A high contrast ratio makes things looks more contrasty (i.e. more 'pop') and is particularly of note with gaming, video, and image display scenarios. For example, if you're selling photos to clients straight off your screen, then high contrast has more wow factor. However, for print work, it is typical practice to dramatically reduce the monitors contrast to as low as, say, 200:1 to better simulate paper. This is best done with monitors that feature direct hardware calibration support and allow you to specify the desired contrast ratio. The maximum achievable brightness of the monitor in candellas per metre squared. It is VERY unusual to run a monitor at maximum brightness, especially for imaging work. The DCI (Digital Cinema Initiative) specifications requires contrast of 1500:1 or more. Most LCD monitors do not yet offer DCI True Blacks support (in practice 'true blacks' means a very low black point suitable for video editing in a dim environment). This doesn't mean they have bad blacks in typical viewing environments, but it does mean you may experience some 'glow' in your blacks if you're viewing in a very dim environment. Achieving very high contrast ratios is difficult and a combination of technologies is used - changes to the panel, light retardation film and backlight are all required. This is really only of relevance in video work - in still image work, and particualrly for print, it is common practise to actually raise the monitor's black point above the minimum to better simulate the printed output. The wider the better! Viewing angle is the maximum angle at which a display can be viewed with acceptable visual performance. This is a highly subjective figure and we don't place much credence in it - basically, IPS panels have the best viewing angles by far, and all IPS panels sold here all have excellent viewing angles, so you won't see variance as you move you head around under normal circumstances. The bit depth of the gamma Look Up Table. That is, the number of levels the gamma table can contain, which is crucial to the appropriate placement of tonal levels on screen. 8 bit is standard (although some appalling screens are only 6 bit! ), but 10 bit or more is desirable, and the best monitors are now 14 or 16 bit. The bit depth of the colour Look Up Tables. These are used to map incoming values from your computer to actual colours on the monitor's screen - so are of course crucial to colour accuracy. 8 bit is standard (although some appalling screens are only 6 bit! ), but 10 bit or more is desirable, and the best monitors are now 14 or 16 bit. Ideally combined with 3D LUTs that can transform colours in more than one table at once. Put simply the higher the bit depth of the LUT, the greater the capacity for accuracy. 3D Look Up Tables allow colour transformations to occur on R,G and B simultaneously, which increases speed and accuracy. Basically, a 3D LUT means better, more accurate calibrations. You want one even if it sounds like gibberish! LCD Monitors coming off a production line typically exhibit some uniformity issues. Uniformity corrected monitors are broken into zones, measured, and each zone calibrated to be even with its neighbours (and you often get a written report of this process with very high end monitors like the Eizo CG series). Called DUE by Eizo, and most likely something else by others, it's an important part of the process of high end LCD making. The process occurs at the begining of the monitor's life and there is currently no user system for correcting uniformity after the monitor is out in the field, although it is theoretically possible. Fortunately, moden monitors that leave the factory in a very uniform state tend to then remain uniform for many years of use. Monitors that are not uniformity corrected may exhibit some visible artefacts like a change in density or colour across the field of the monitor. Wtih brands like Eizo and NEC, the non uniformity tends to be minor. How quickly a pixel can change colour, in milliseconds (usually measured as grey-to-grey, but there's no real standard). Basically, any value 16 or under is generally fine for all normal uses. Exceptions are high end gaming and possibly video production - but it's rare anything below 10 makes a significant difference, and monitors with very low response times typically sacrifice a lot of colour quality to achieve this. The input ports a monitor has. We have a comprehensive article about these (with pictures!) - here. Other connections the monitor offers - such as audio connectors if the monitor has speakers (most don't) - and USB hubs. Some USB hubs also act as 'KVMs' - meaning you can plug your mouse and keyboard into the monitor, then the monitor into two separate computers and easily share your peripherals and screen between the two machines. How much power the monitor draws. Often stated only as peak power usage, the real figure in practise may be lower. Lower is better, both for your electricity bill and the planet, but typical figures of around 100W means that your monitor uses about the same as two standard downlights, so modern monitors are really very efficient compared to the hundreds of watts those old CRT clunkers used! If a monitor hood is not included, then there are [LINK] aftermarket hoods available. Monitor hoods stop direct light falling on the monitor which can make, in particular, shadow details harder to perceive. While not essential, once you get used to having one it's hard to go back to a screen without one - they improve the picture generally and provide a real 'window in to your image' effect. Most colour accurate monitors don't have in built speakers. Those that do offer speakers usually connect via 3.5mm jack (see connections), and the speaker output is usually around the 1-2w range. Fine for basic system sounds but not great for music etc. Can the monitor be rotated on its stand 90 degrees and used in portrait orientation? Particularly useful if you're doing portrait work on smaller screens! If the monitor & stand support this then you just rotate the screen physically and instruct your video card to flip the image 90 degrees (if you bind this to an F key on your keyboard it can be a very simple process!). We keep these details up to date to the best of our knowledge. However if a particular item is of special importance to you please also check the manufacturer's listing for the product. Confused about something, or just want some human to human advice? Send us a question about this product. We answer all enquiries, and promptly too! You're also very welcome to ring us on 03 9329 4522 if you prefer. Selected by Image Science, tested as compatible. The benchmark monitor calibrator. Fast, accurate, easy to use, works with everything and very reliable. Our recommended calibrator. Free Custom Printer Profile With This Monitor Calibrator! Keep your screen free from dust and fingerprints with this screen cleaner kit. 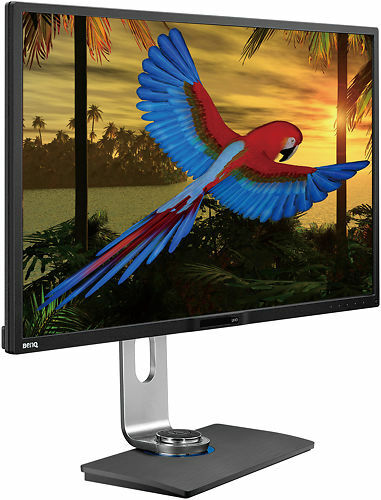 Hand curated articles, links and downloads to help you get the best from your BenQ PV270 27" Monitor. Need technical support? Use the form to above send us an enquiry or if it's urgent, call us on 03 9329 4522. BenQs PV270 sets a new standard for price vs. performance and is a fantastic new option in 2017! A comprehensive guide to getting the most out of your i1Display Pro. BenQ Monitors need to be told what input to look at. Here's how to solve 'No Signal Detected' and 'No Cable Connected' errors. A handy guide to help you get started with a new monitor. It covers unpacking, plugging it in, checking it, calibration and more! A discussion on the pros and cons of methods for colour managing monitors. A pictorial article detailing analogue and digital monitor connectors and what to use to connect to your computer. How a monitor hood can solve uniformity issues, such as brightness/colour variances, with your colour accurate monitor. Apple have (again!) created trouble for external monitor owners...we show you how to hook up new Macbooks to external monitors. The principles for building or buying a PC that offers excellent image processing performance. Page about this product on the manufacturer's site. The most comprehensive monitor testing site on the net. At Image Science we support what we sell & we really mean that. You're welcome to call on us for help - how to, technical support, troubleshooting, general tips - for the entire lifetime of the product. With an unmatched track record for support, for more than 15 years in this industry, you can be sure we're not just a box moving store. Exclusive to Image Science customers! 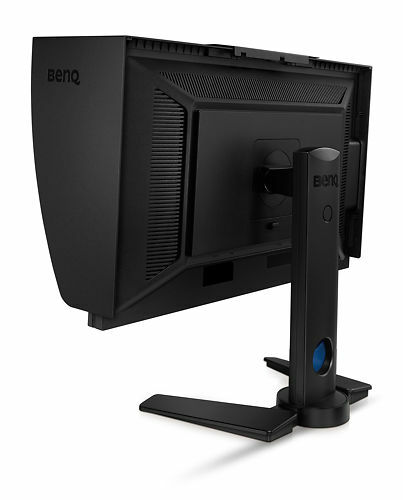 New BenQ monitors bought from Image Science come with a special BenQ three year full parts & labour warranty, and an extremely generous dead pixel warranty of 6 months. (NB - Ex-demo monitors come with a two year warranty). 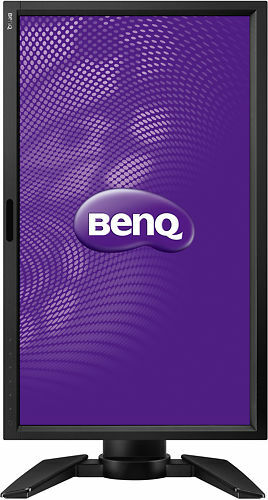 See BenQ Warranty Page for full terms and conditions of the general warranty.